David Grisman and his quintet brought bluegrass and jazz to the Portland’s Alberta Rose Theatre on a Friday night. 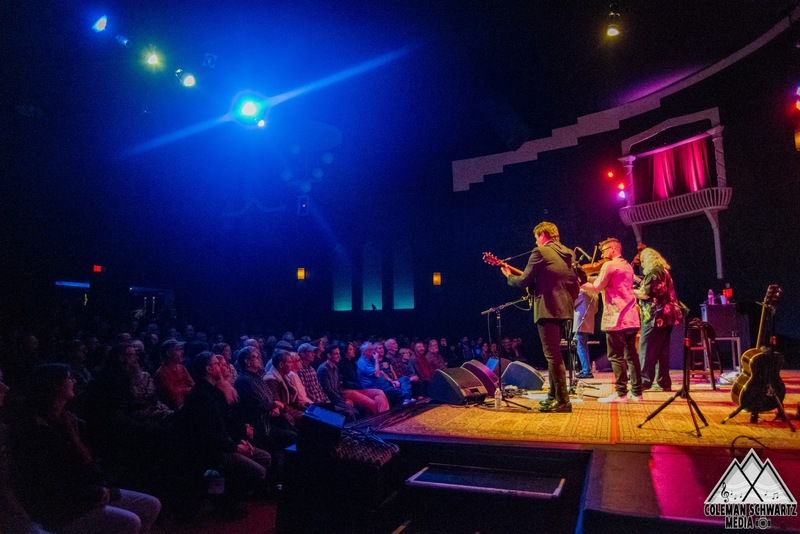 Fans turned out to help the band sell the intimate room out twice in a single evening. The early show attracted an older array of folks, but you’d never be able to tell from the giddiness emanating from the crowd. Patrons mingled, excitedly catching up with long lost friends, until the band finally took the stage and a respectful hush fell over the room. Before long, a walking, even skipping, bassline had heads bobbing all around the seated theatre. 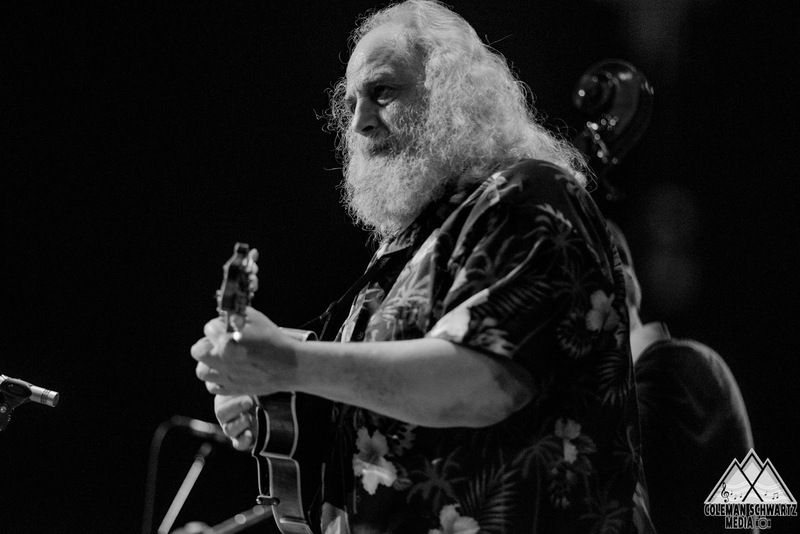 David Grisman, known widely as the Dawg, has been working on his signature style of music for upwards of 40 years. In this time, the band has seen a rotating cast of musicians, but since 2007 the quintet has kept a stable lineup. At its core, “Dawg Music” is a refreshing mix of traditional bluegrass instruments creating a jazz sound. 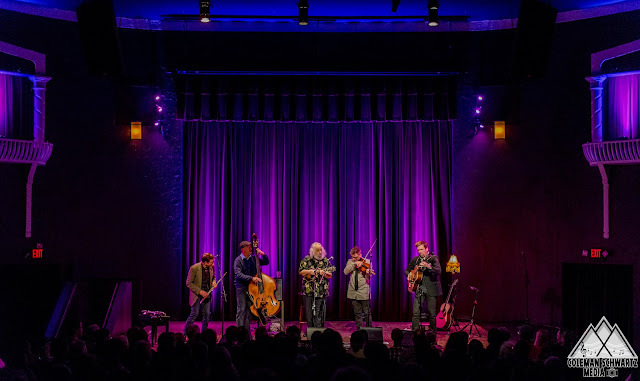 Grisman has created albums with heavy influence from the 1930’s era of swing, such as “Svingin’ with Svend.” The quintet played the title track as an ode to collaborator and friend, Svend Asmussen, who passed shortly before his 101st birthday last February. Other albums stretch many subgenres such as latin, newgrass, americana, jazz, progressive bluegrass, and many more. They started the night with the first song off of the first album, E.M.D. The song featured a solo from each member of the quintet. Powerful cheers came from the crowd after each member showed their colors. A personal highlight was when Matt Eakle gave us a rousing solo on his bass flute. A bass flute is a flute pitched just one octave below the concert flute in the key of C. Eakle has such an exuberant stage presence, you can’t help but be enticed. The band found its latin roots in "Tracy’s Tune," a song Grisman wrote for his wife, Tracy, who spent the night working their merch booth. Grisman shared many stories throughout the show, but the one I found most interesting was "Horn Pipe Dream." As Grisman divulged, this song came to him in a dream, and the whole dream he kept repeating to himself, “I need to remember this tune!” The song features a nice call and response theme with mimicking patterns on each instrument. Grisman is well known for his time playing with Jerry Garcia. Paying tribute to his old friend, the quintet played both "Grateful Dawg" and "Dawg’s Waltz." The five musicians left the stage and the crowd erupted with a powerful standing ovation. 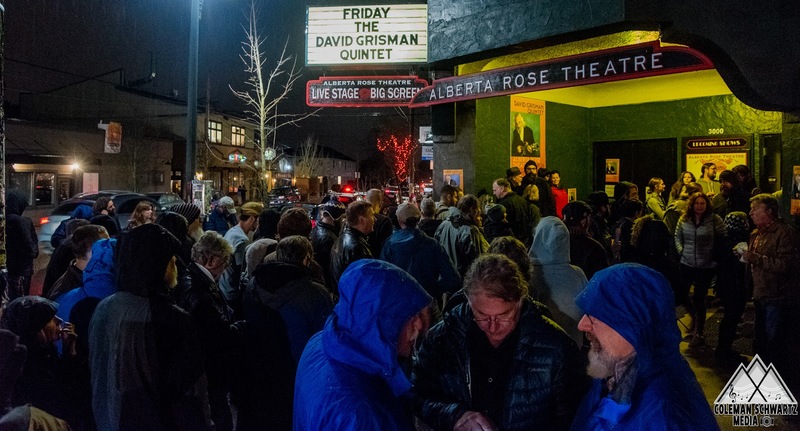 Just a few minutes later Grisman and the quintet took the stage and performed an energetic rendition of “Blue Dawg.” After another display of appreciation, people began to move to the door. Immediately, I wanted to turn around and go back for the late night show. By the time I exited, there was a line around the block waiting for them to go and do it all again. Dawg music has a unique sound unlike anything I’ve ever heard before. I went home that night with my thirst for both jazz and bluegrass music fully quenched.